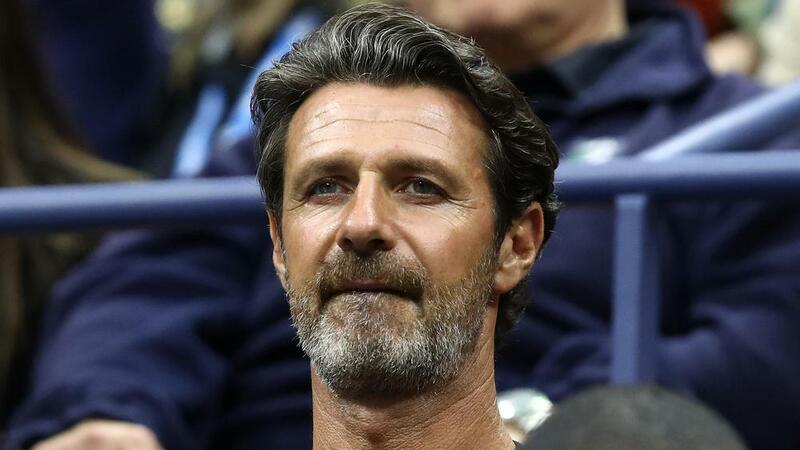 Patrick Mouratoglou admitted to coaching Serena Williams during the US Open final, but believes the American great never received his message. The 23-time grand slam champion suffered a 6-2 6-4 loss to Naomi Osaka in a contentious decider in New York on Sunday (AEST). However, the final was overshadowed by Williams receiving three code violations — coaching, racket abuse and verbal abuse — and eventually a game penalty on Arthur Ashe Stadium. "I'm honest, I was coaching. I don't think she looked at me so that's why she didn't even think I was," he said. "But I was, like 100 per cent of the coaches in 100 per cent of the matches so we have to stop this hypocritical thing. Sascha [Bajin, Osaka's coach] was coaching every point, too. "It's strange that this chair umpire [Carlos Ramos] was the chair umpire of most of the finals of Rafa [Nadal] and [his uncle] Toni's coaching every single point and he never gave a warning so I don't really get it." Williams was surprised to hear of Mouratoglou's admission, saying she had sent her coach a text asking for an explanation. "I was on the far other end, so I'm not sure. I want to clarify myself what he's talking about." Asked if the umpire had to give her the warning, Williams responded: "No, because I wasn't being coached. "If I look at my box and they say, 'C'mon' or 'Good job', I don't know what else to do. After that I didn't even look at my box anymore."